See New Jersey like never before on a splendid charter bus tour. Rent the best-in-class New Jersey charter bus service to visit numerous famous landmarks and many urban delights. At Charter Everything, we offer luxury bus service that fits your travel needs and budget as well. Choose from our fantastic fleet of charter buses that are spacious, comfortable and well equipped with very modern amenities. It’s our goal to make sure every group event in New Jersey is the most memorable and hassle-free charter with our dedicated bus rental services. At Charter Everything, we provide state-of-the-art ground transportation services for any kind of event. Our team of highly experienced consultants are well trained and certified with the Department of Transportation (DOT). Safety is our top priority, we only provide the highest standards of secure and trustworthy transportation solutions for all our groups. We have been in business for decades, offering award winning customer service and a hassle-free experience. We offer a no-obligation charter bus quote for your special excursion. So, what are you waiting for? Explore the incredible state of New Jersey with Charter Everything. 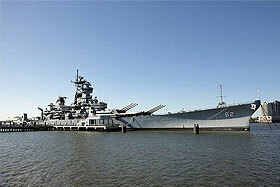 New Jersey Sightseeing: Looking to explore New Jersey’s iconic sights and breathtaking skyline? Get on board a luxury charter bus and enjoy an exclusive sightseeing tour of this beautiful state. From picturesque beaches along the Atlantic Coast to exotic national parks, historical sites, and fine museums, you will be amazed by the sheer beauty of New Jersey. Visit these marvelous tourist attractions while enjoying a comfortable ride on our state-of-the-art charter buses. Wedding Shuttles: Planning a grand wedding in New Jersey and need to transport your family and friends? Leave the hassle of guest transportation to Charter Every Thing staff. We will have a luxury charter bus waiting for your guests at the hotels or homes you select. They will definitely appreciate the lavishness and comfort, adding a zing to your special day. Corporate Events: Charter Everything Inc. is a group travel specialist offering world-class ground transportation services for corporate events in NJ. Whether you are on a business trip with your employees or arranging a sightseeing tour in New Jersey as a reward for your staff, we have you covered. Pick one of our spacious, well-facilitated charter bus rental in New Jersey, and travel in comfort and style. Casino Trips: Ready to rock at a casino in Atlantic City? New Jersey is reckoned for its vibrant nightlife and casinos. Enjoy the thrill; book a charter bus and visit the state’s top casinos in luxury. You can opt for a day trip to the Atlantic City, NJ casinos based on a 12 hours day or you can reserve two one way transfers if you’re looking to stay overnight or extended days. Sporting Events: Is it that time of the year when you celebrate your favorite sports with your family and friends? Add more fun to it by traveling and tailgating in one of our luxurious charter bus rentals in New Jersey. Our fleet of private bus charter and mini bus charter can accommodate groups from 20 to 61 passengers and has enough cargo space for everything that makes sports more exciting. School Trips: Are you planning a school field trip and need bus transportation for your school? Our charter bus and minibus rentals will ensure unmatched comfort and safety for your students and teachers while traveling. Create a long-lasting impression that your students and other staff will not forget! 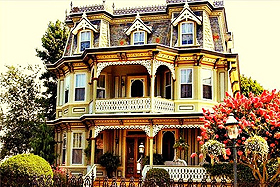 Looking for a fascinating sightseeing tour of New Jersey? 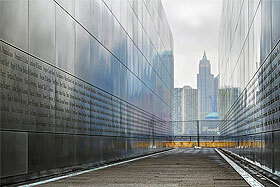 Explore the best of NJ in an unforgettable charter bus group tour? 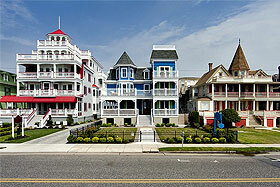 At Charter Everything Inc., we promise you an enchanting experience of New Jersey. Choose from our wide range of charter bus services, and embark on a tour of the famous Atlantic City casinos, globally renowned for its Boardwalk and nightlife. Don’t forget to check out the Steel Pier amusement park and Entrance to the Stars where you can find handprints of celebrities like Frank Sinatra and so much more. Book a New Jersey charter bus and visit the beautiful beaches and lighthouse at Cape May. 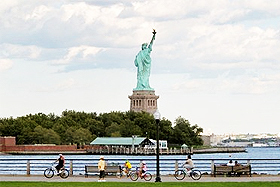 Indulge in some outdoor fun with your family and friends or amidst the vast expanse of Liberty State Park in Jersey City, NJ, a prominent location overlooking the Upper New York Bay. 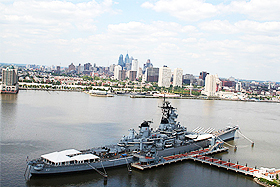 Enjoy the breathtaking lush wilderness and coastal landscape of New Jersey at Gateway National Recreation, or visit the colossal New Jersey US Navy vessel that is now a wonderful floating museum nestled on the Delaware River. What better way to experience these outstanding sights and sounds of New Jersey than in our luxury charter bus or minibus rentals! Having over 25 years of experience in the bus industry, Charter Everything Inc. takes pride in setting up the perfect vehicle for your group each and every time. From 56 passenger private charter buses with all modern amenities to executive minibusses, private party rental, and sprinter shuttle vans, we have it all. Our fleet of buses can accommodate any group size from 10 to 61 passengers in one vehicle. Each of our vehicles is well equipped with central air & heating system, television and DVDs, reclining seats, large tinted touring windows, CD player, sanitized restrooms and Wifi and power outlets if requested. For special events and group tours, we can provide fully customized party buses that has a wet bar, surround sound system, neon & fiber optic lighting, dance poles, smoke machines, and video games if needed. Travel in style, and book our party bus rental in New Jersey or limousine rentals, equipped with full amenities. Choose the right charter bus or minibus for your next event! Let us assist you with exceptional transportation services for your upcoming group tour, corporate trip, school trip or night out with family & friends. Contact our customer care team to help you with any questions regarding our charter services. Why Choose Us for a New Jersey Charter Bus Rental? We Can Accommodate Any Group Size: Do you have a small or large group traveling to New Jersey? No problem! Our huge fleet of charter buses, minibusses and shuttle vans can accommodate passengers from 10 to 61 passengers per vehicle. Feel like a VIP pulling up to your special event in one of these deluxe luxury coaches. Safety Is Key: At Charter Everything, safety is our top priority. All our vendors’ staff and drivers undergo strict federal background checks, medical checkups and are also fingerprinted with the FBI to ensure our clients’ safety. All vehicles also have daily maintenance checkups and are serviced by a certified licensed mechanics to keep vehicles in tip-top shape. Unmatched Client Services: Right from the moment you call to get on board with us, you will have a dedicated service agent to work with you from the beginning to the end. We ensure prompt and hassle-free booking experience and a comfortable journey to all our customers. Fully Equipped Charter Buses: All our luxury coaches are equipped with state of the art facilities like TV’s & DVD, restrooms, central heating & cooling system, and tinted windows for privacy, reclining seats, underbody storage area, wifi and outlets if requested in advance. Affordable Rates: We strive to offer unparalleled charter bus services at affordable prices. Contact us today for the best price quote in New Jersey. So, what are you waiting for? Ditch the traditional ways and travel in style for your next big event in New Jersey. Book a charter bus rental today with Charter Everything.